The Formax FD 8704CC OnSite Office Multimedia Cross Cut Shredder saves time and money. 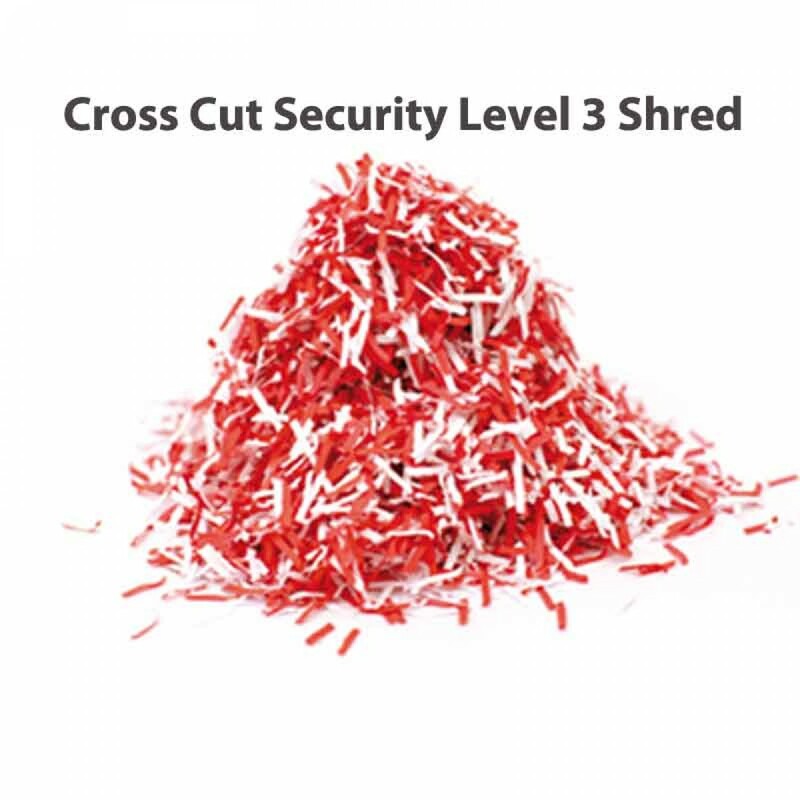 The Multimedia Office Shredder offers commercial-grade quality and unmatched features in a compact design ideal for the office environment. 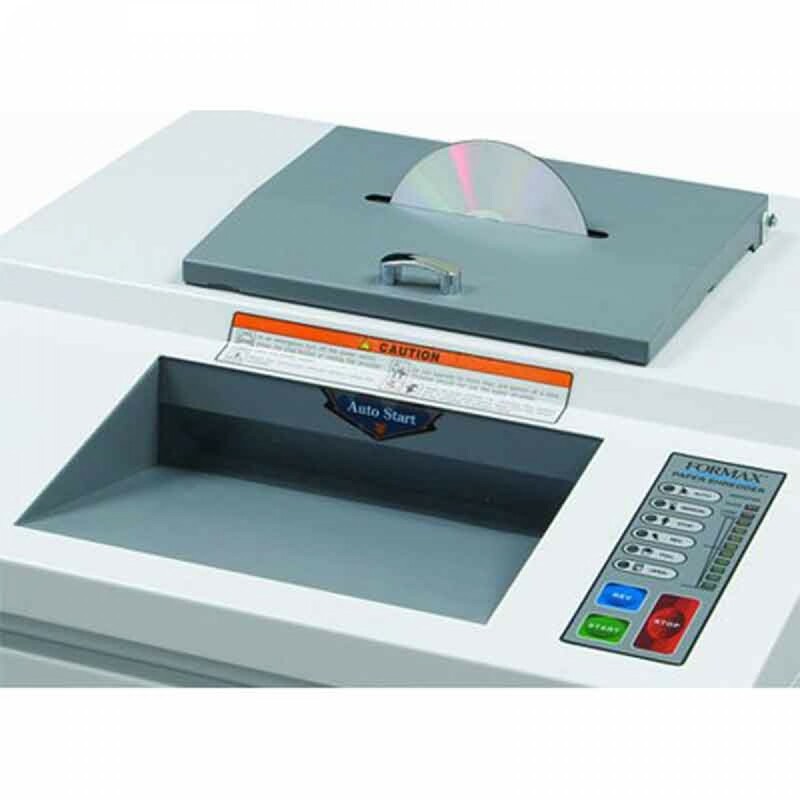 It features two dedicated feed openings: one to accept up to 45 sheets of paper at once, and a second feed opening specially designed to shred multiple CDs, DVDs, and DV tapes at one time. 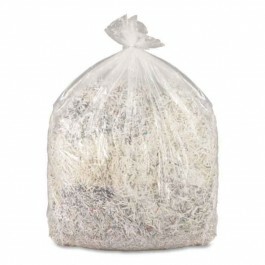 Paper can be shred at a speed of up to 12 feet per minute, with a shred size of 5/32" x 1 5/8". 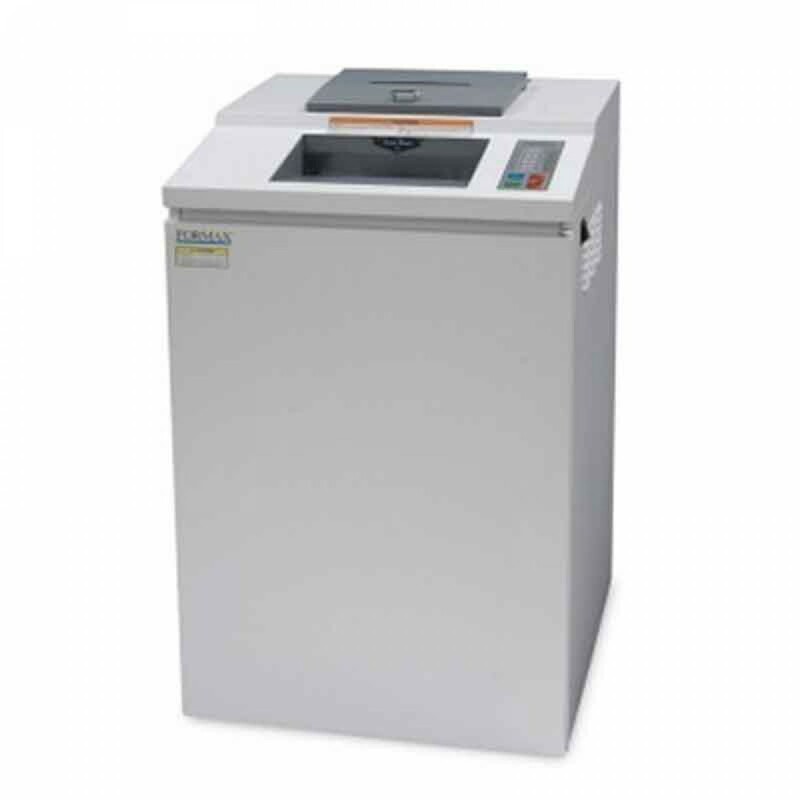 The has a waste bin capacity of up to 33 gallons. Standard features include heat-treated steel blades, an easy-to-use LED control panel, lifetime guaranteed waste bin, and a powerful AC geared-motor. In addition, the new ECO mode saves energy by automatically switching into standby mode after 5 minutes of inactivity. The optional EvenFlow Automatic Oiling System helps to keep the FD 8704CC in peak operating condition.